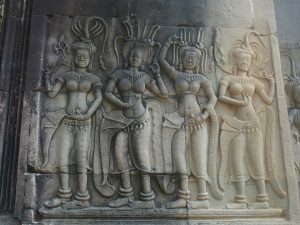 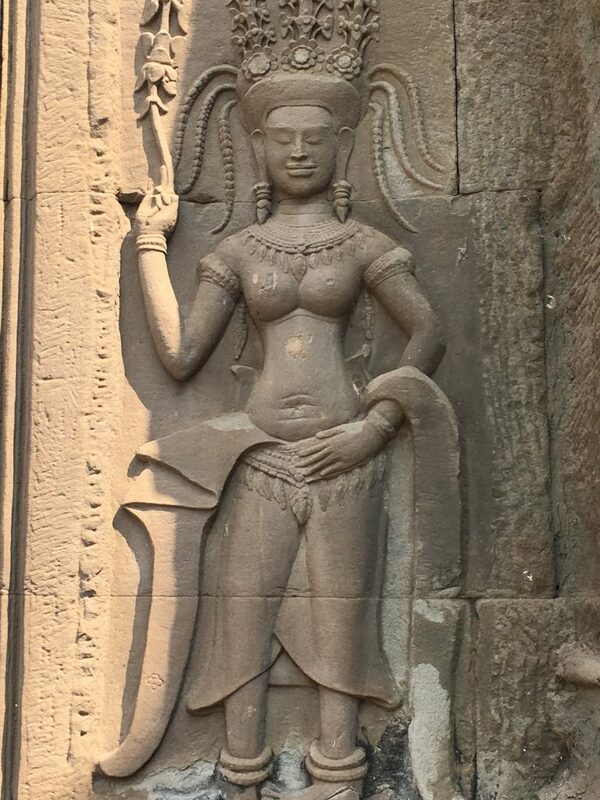 Compared to Bangkok’s golden Buddhas there are only Buddhas made of stone in Angkor as well as stony temple dancers, stony guardians & lot of stony Hindu gods & goddesses. 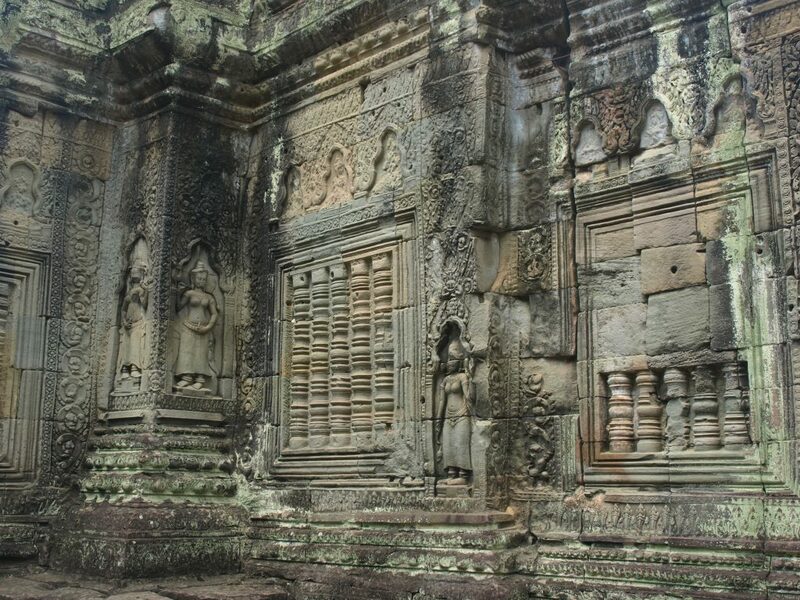 Angkor was the centre of the Khmer empire during the 9th to 15th century. 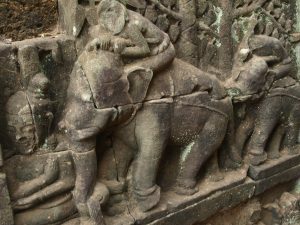 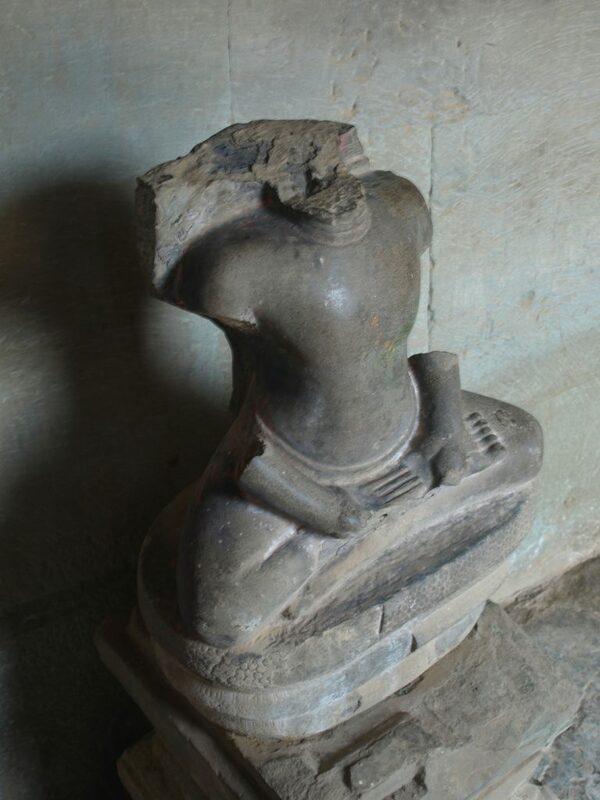 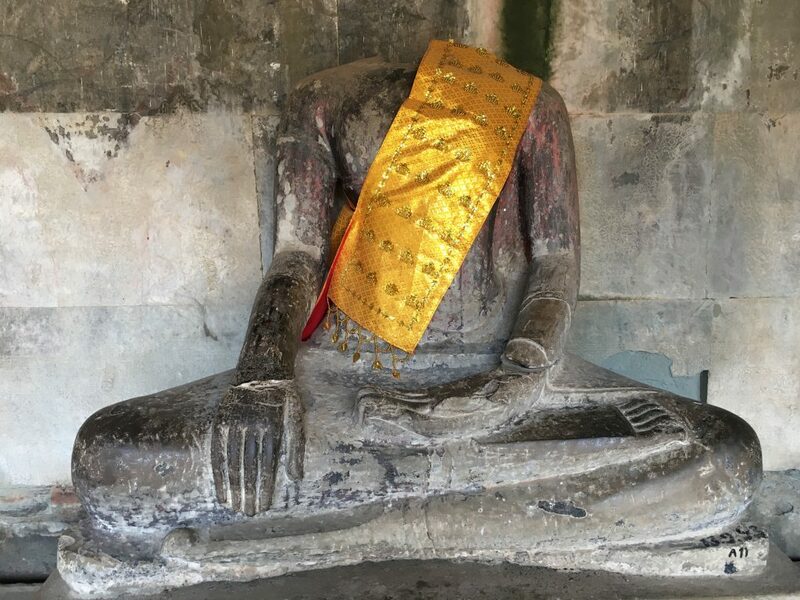 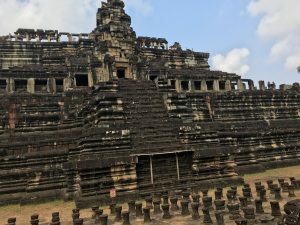 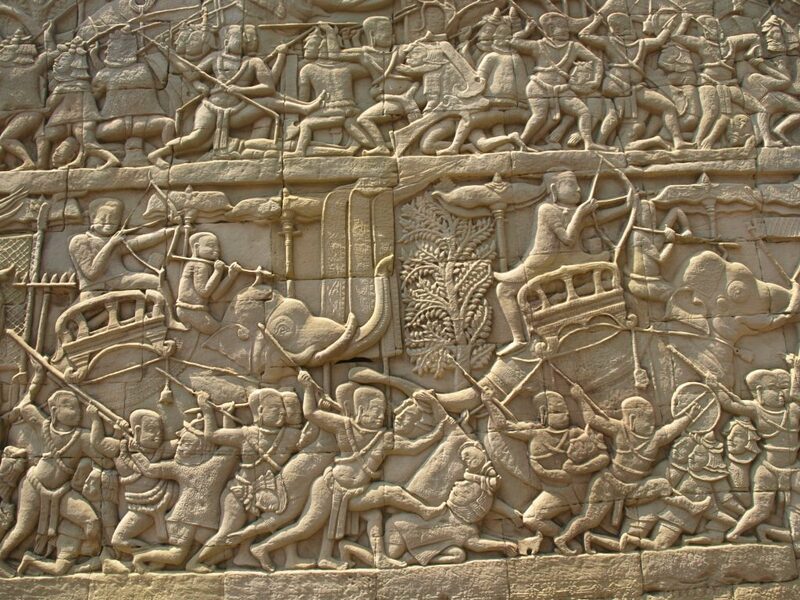 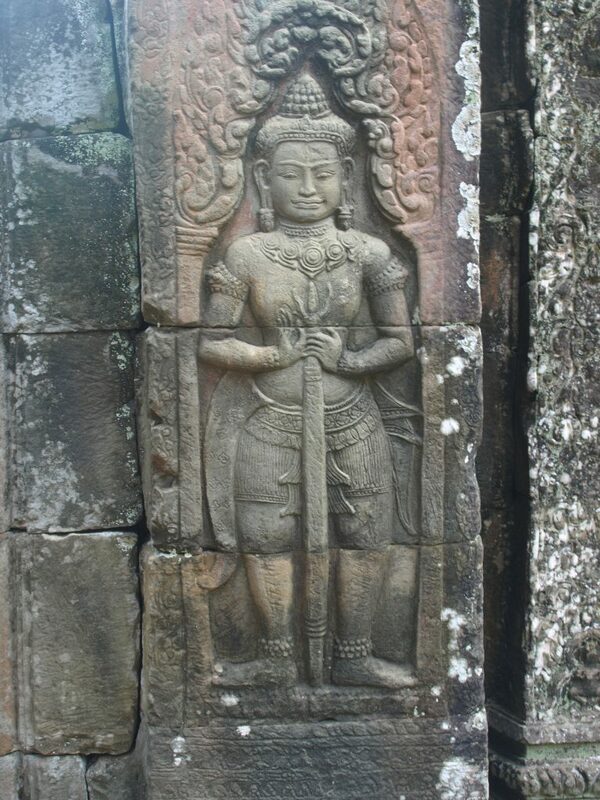 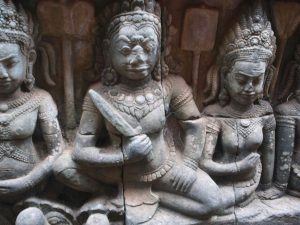 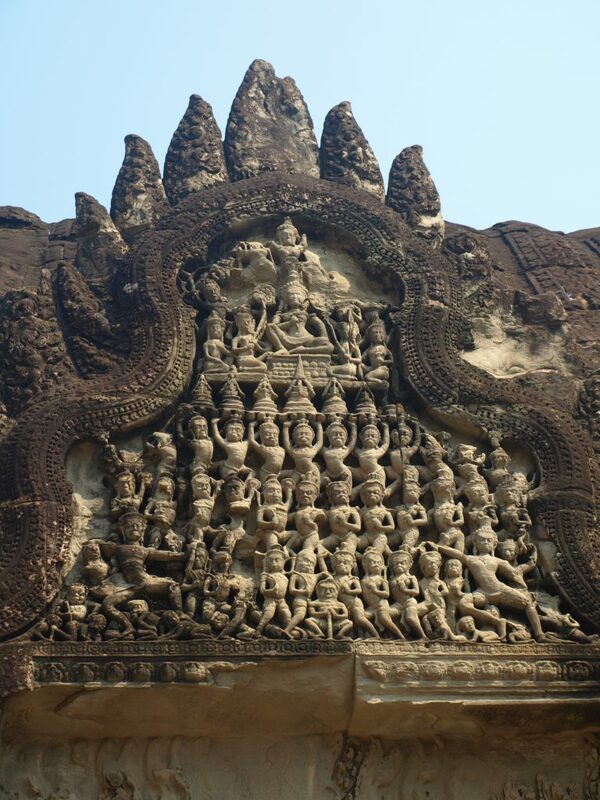 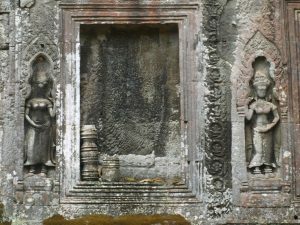 In the beginning the Khmer empire was characterized by Hindu religion: from the 12th century, however, Buddhism was favoured by the Khmer rulers. 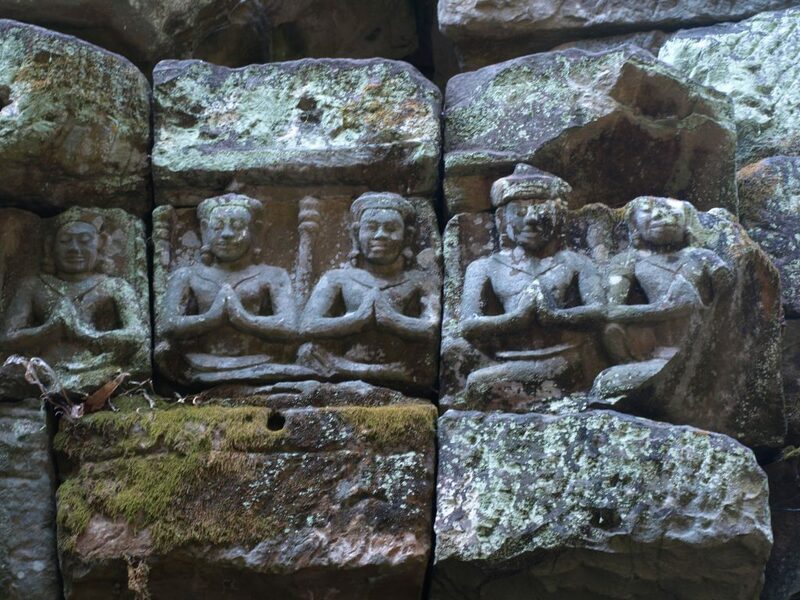 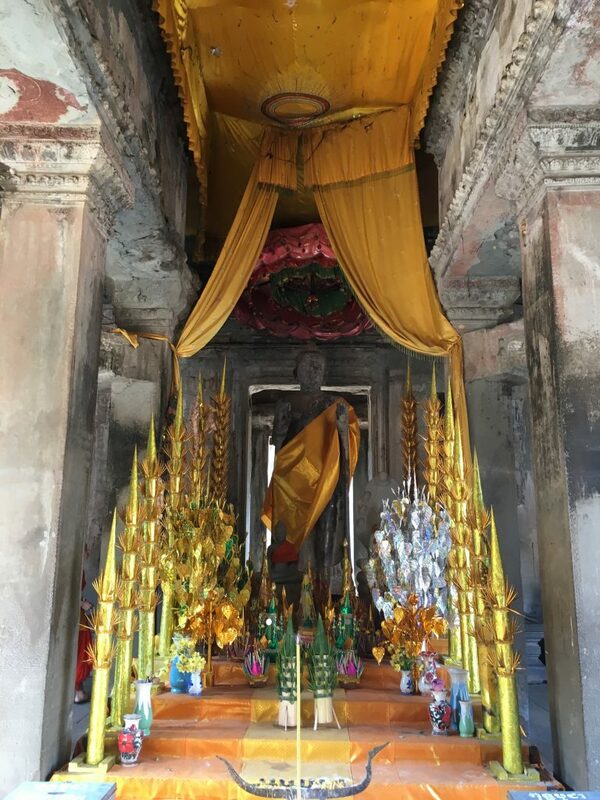 In Angkor there are lots of Buddhas to be found: even after the decline of the Khmer empire Angkor was inhabited & Buddhist monks & nuns lived in – most of – the temples. 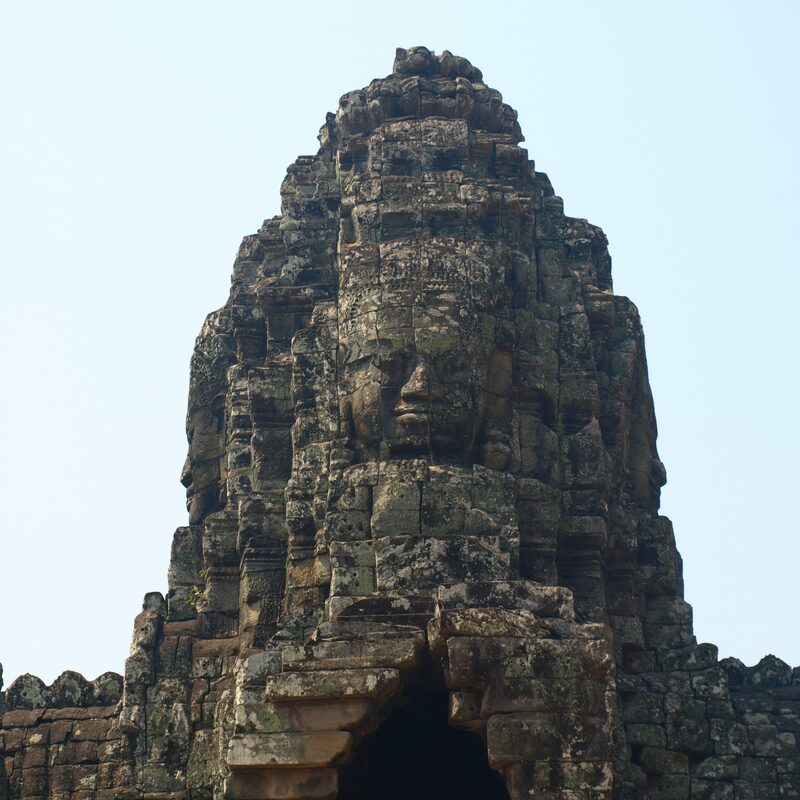 So let’s have a closer look at Angkor’s Buddhas! 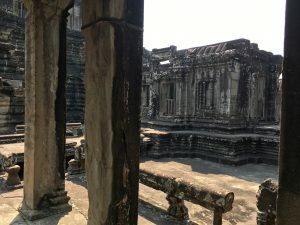 Angkor’s centre covers about 200 km² w/ about 1.000 holy sites (mostly ruins) while „Greater” Angkor was about 1.000 km². 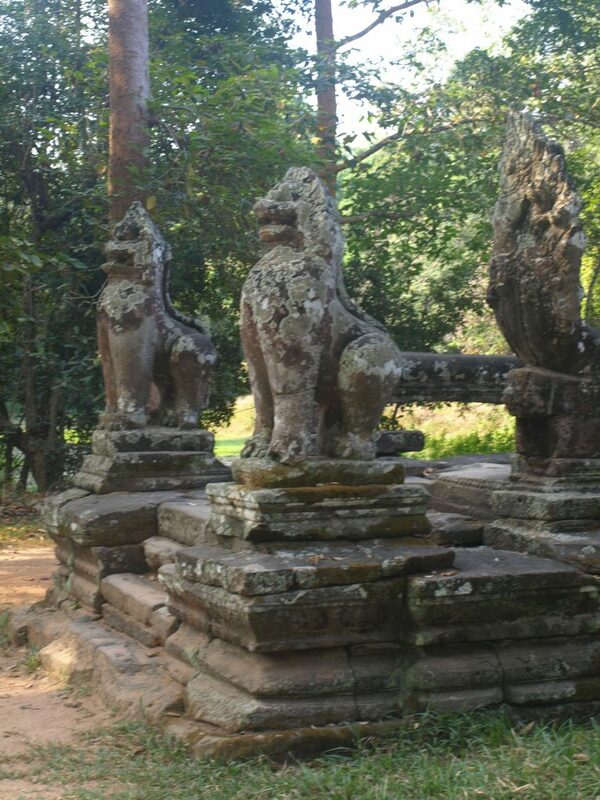 During the Khmer empire up to 1 million people lived in this area. 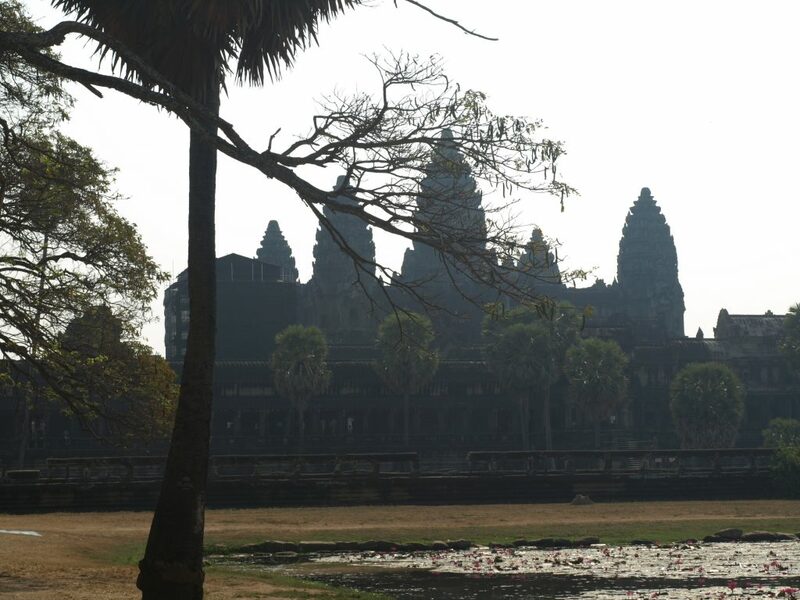 The largest religious site – worldwide – is Angkor Wat (about 2 km² & up to 65 m high!). 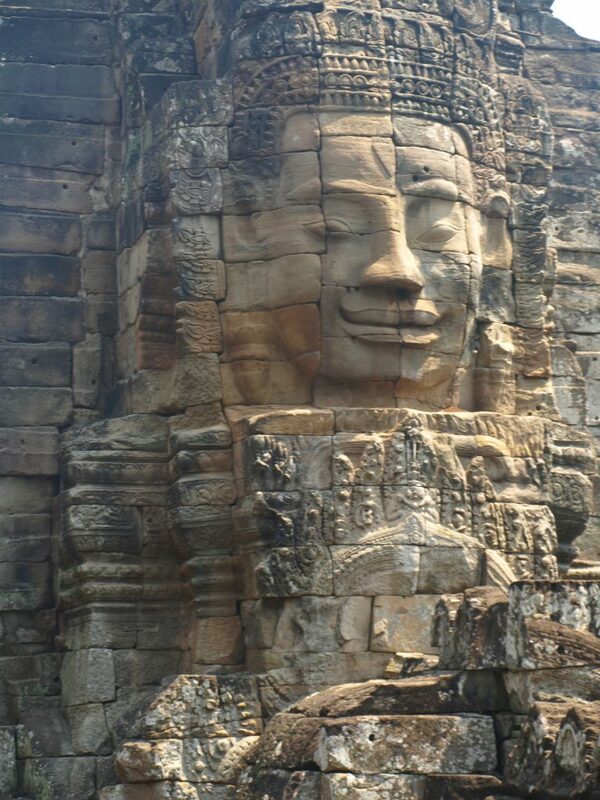 Angkor Thom was the capital of the Khmer empire. 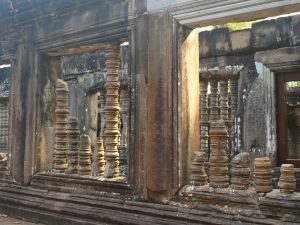 Temples like Bayou & Baphuon are inside the walled city. 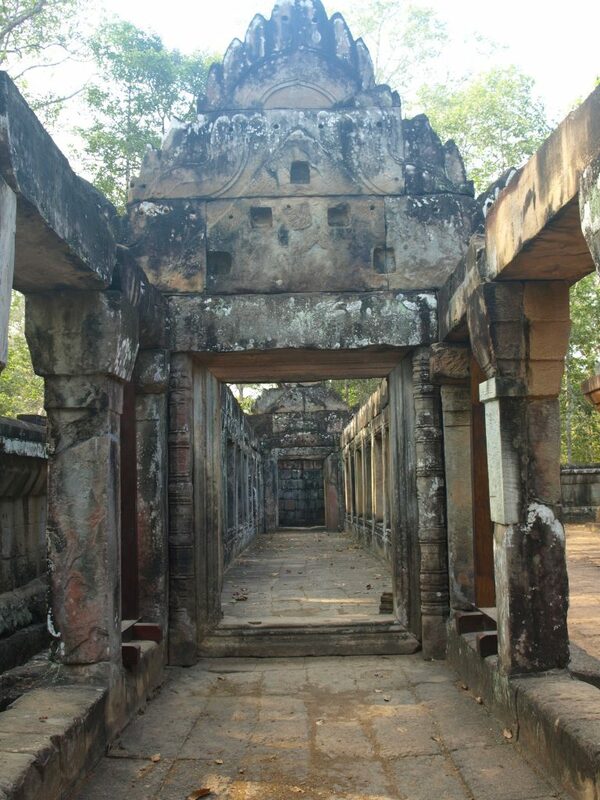 Also in Angkor Thom only temples made of stone & religious sites like the large terraces survived. 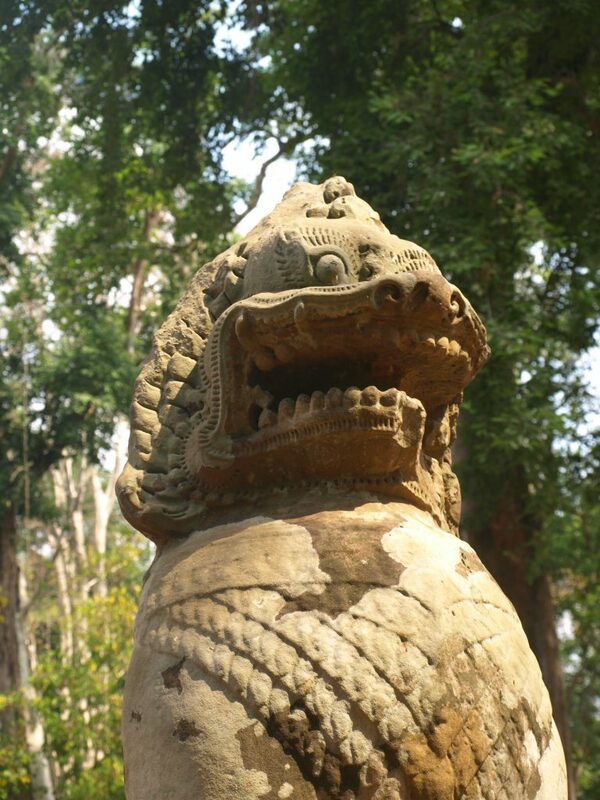 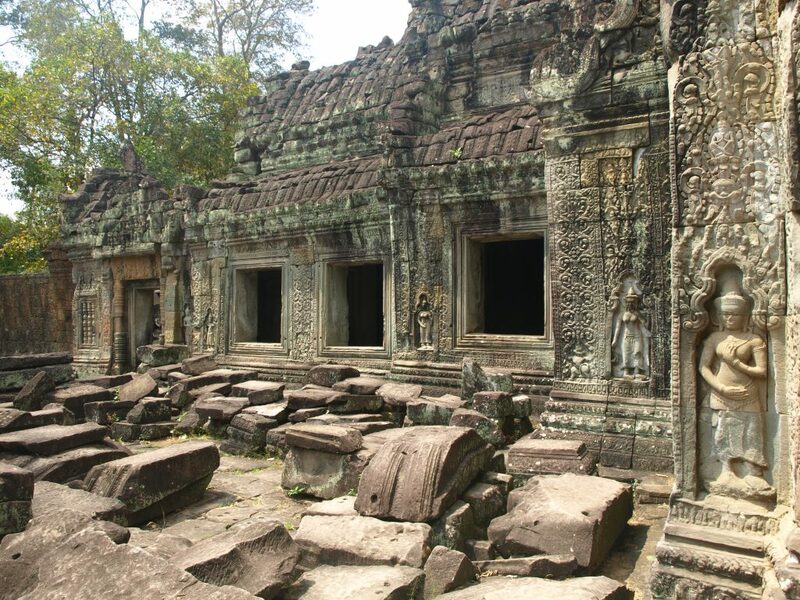 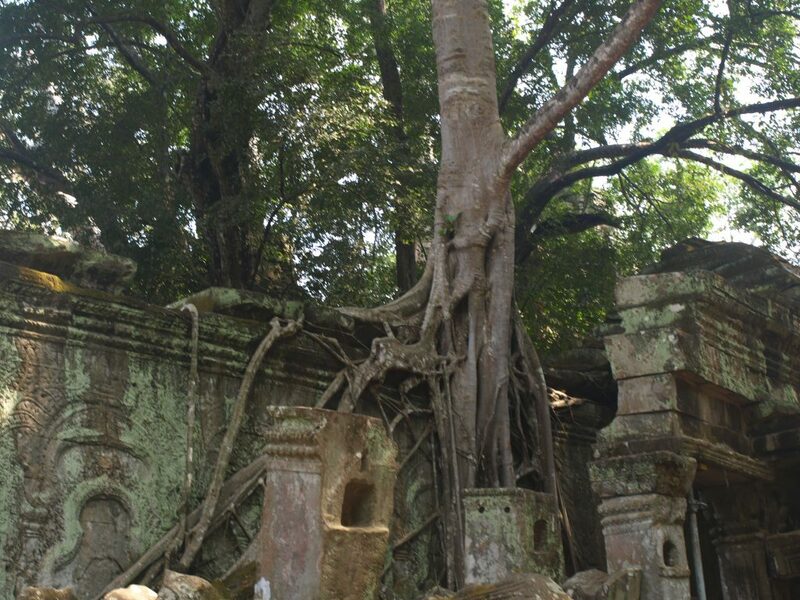 … & of course this is only a short list of all the temples & ruins that are scattered in the Angkor area. 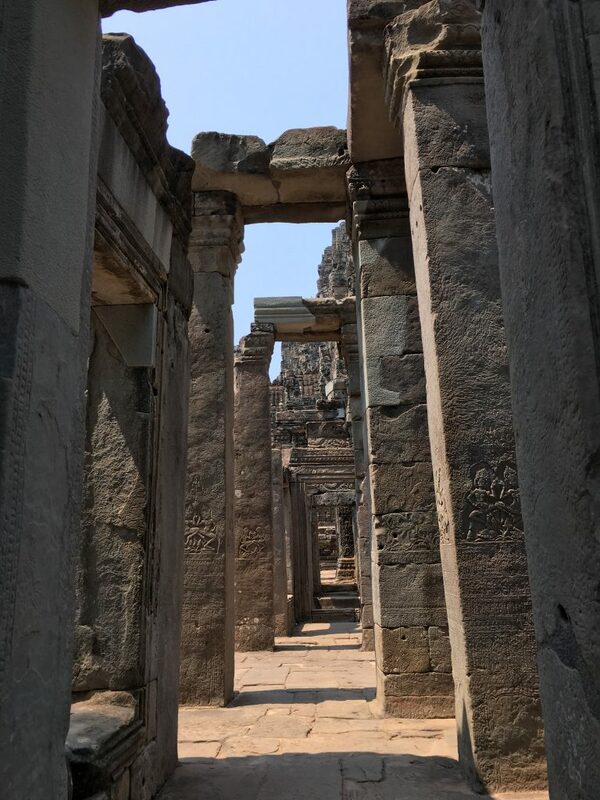 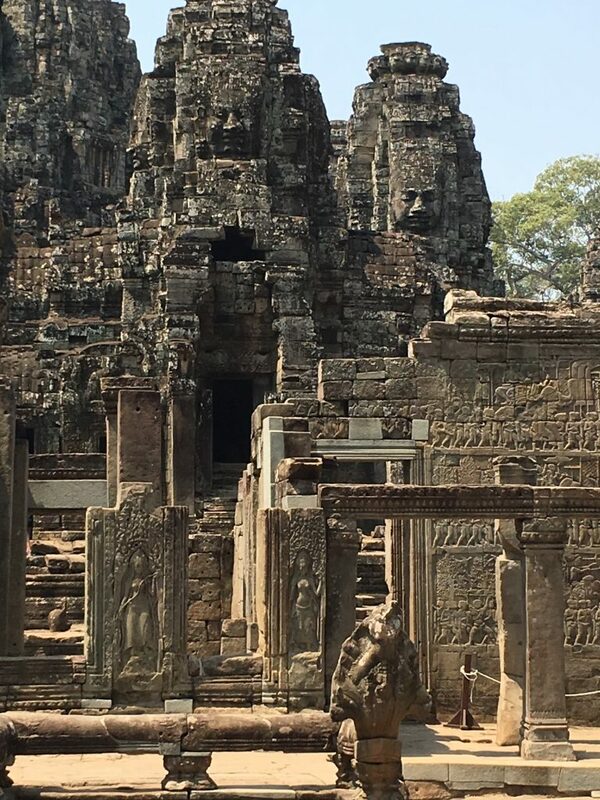 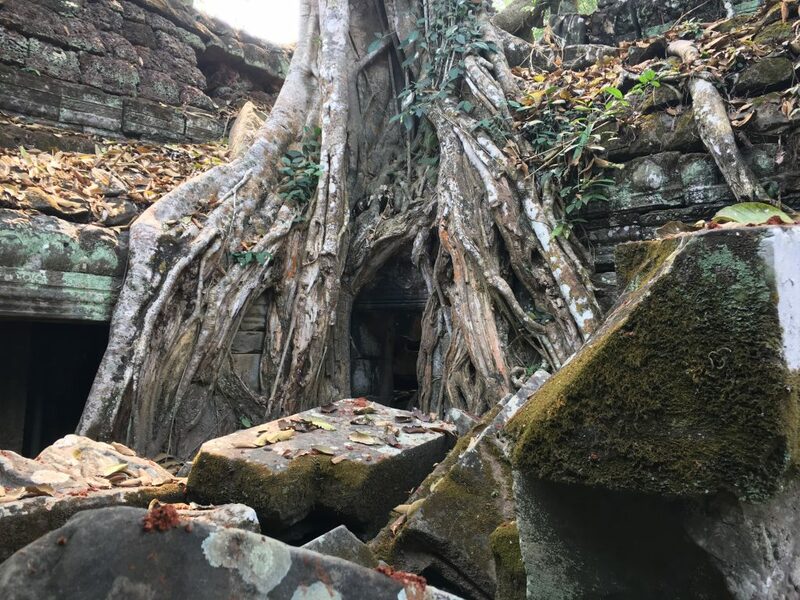 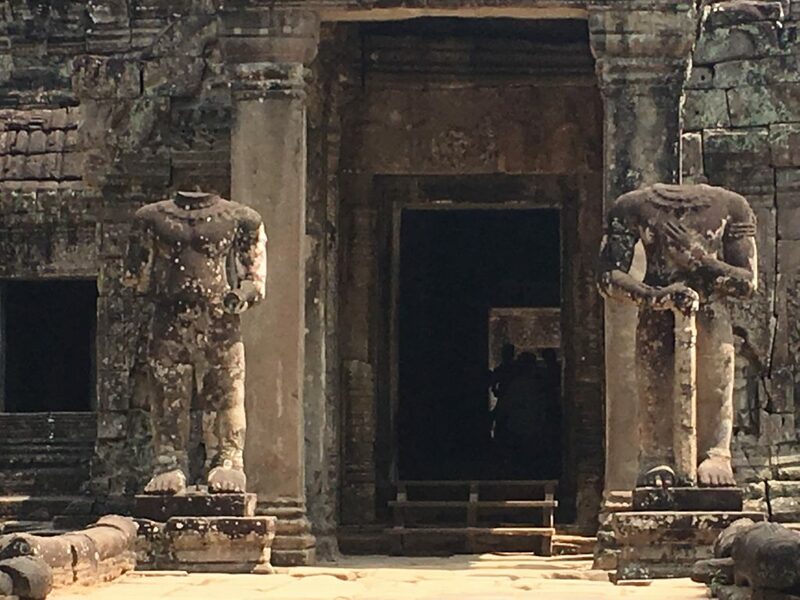 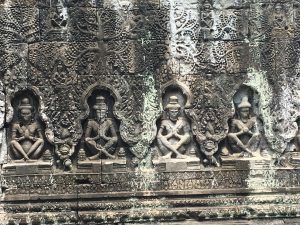 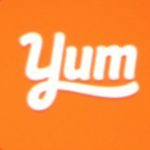 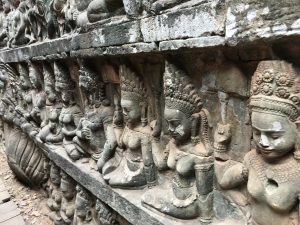 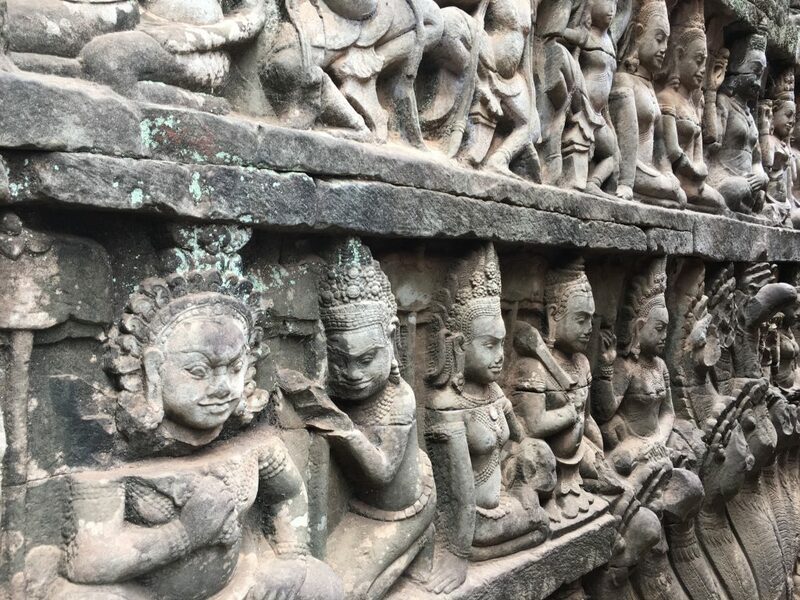 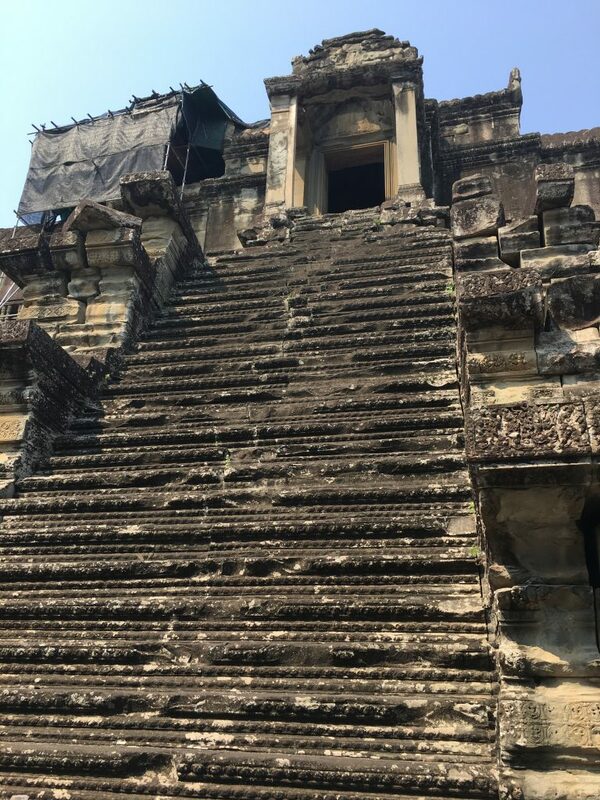 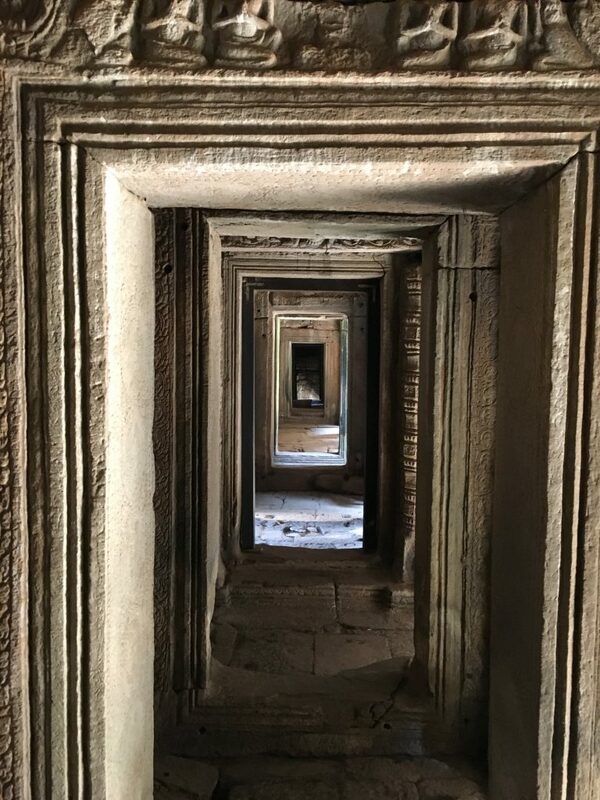 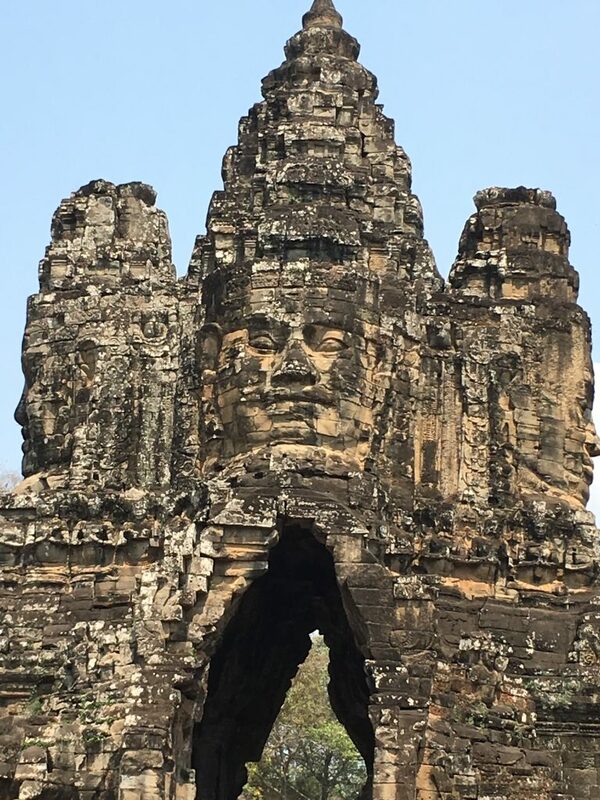 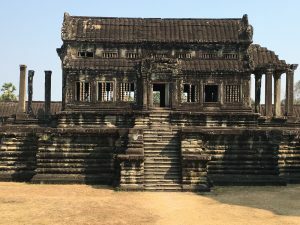 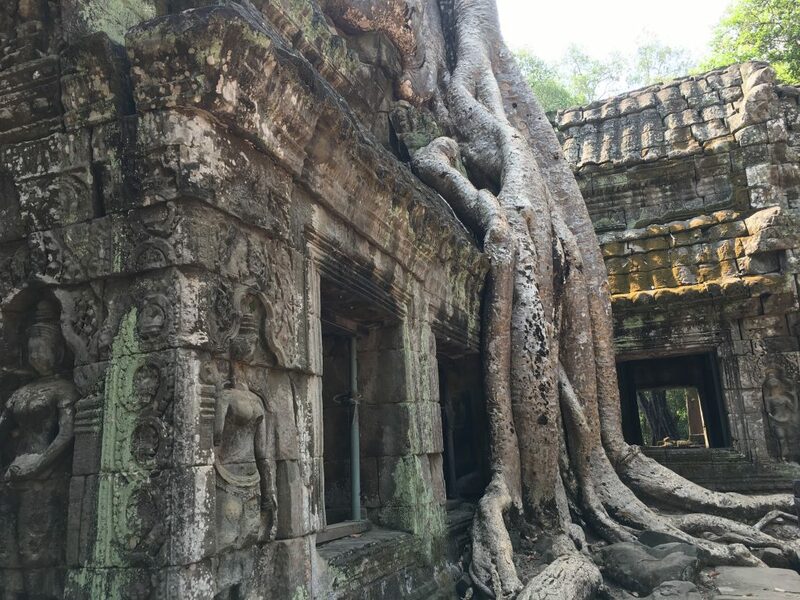 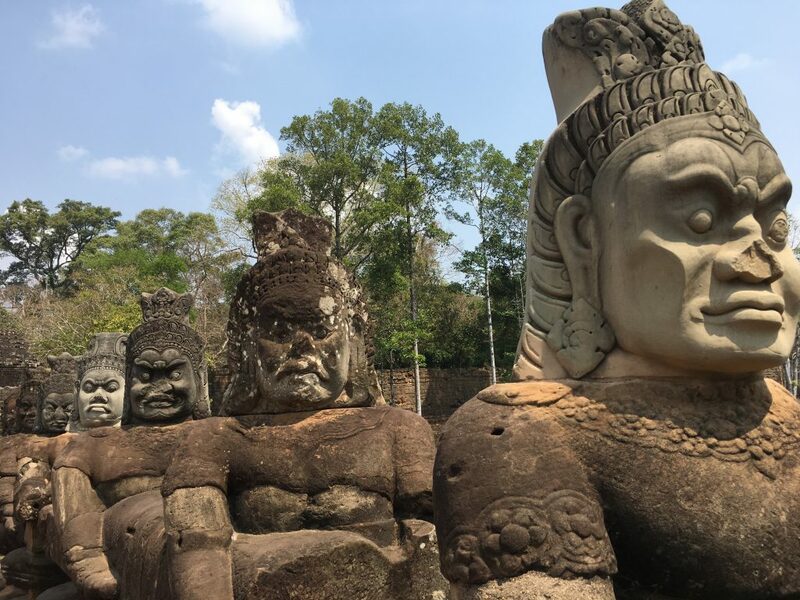 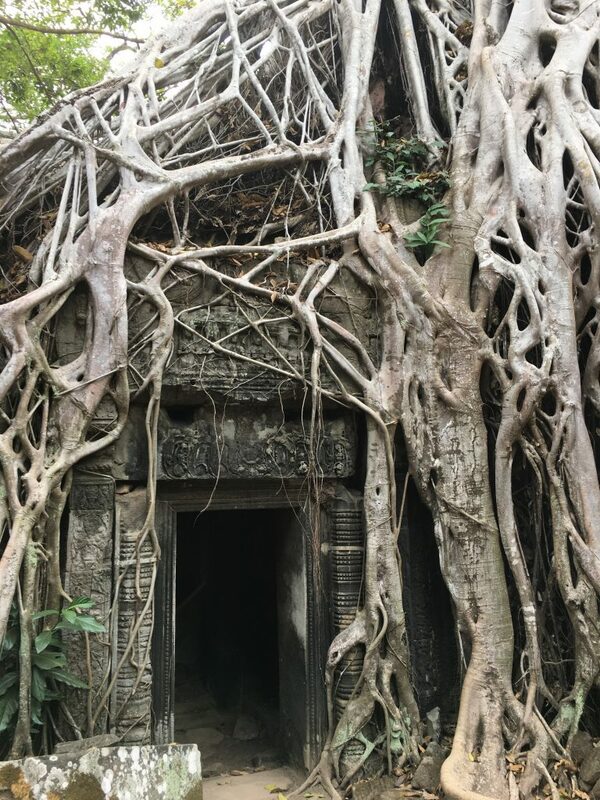 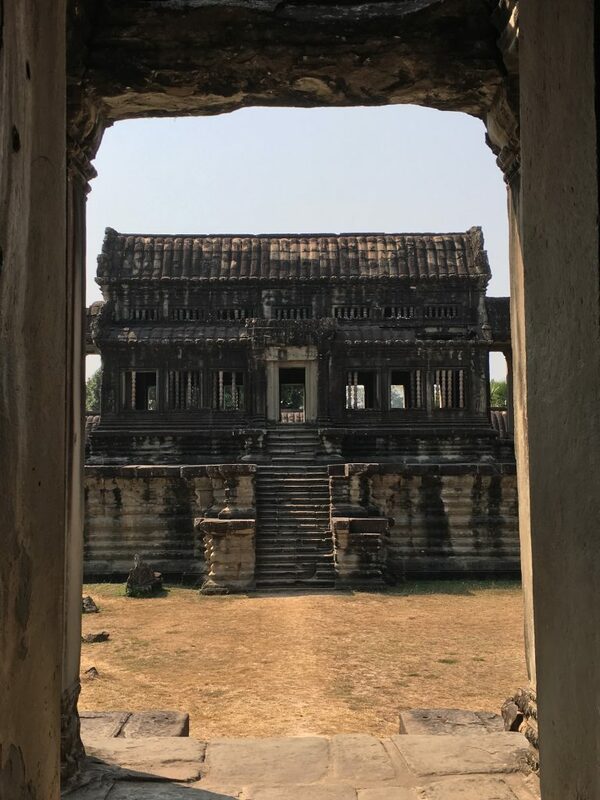 …& there are lots of photos I’d like to add (we didn’t cover Angkor Thom’s terraces & the water basins, the walls of the walled city, more guardians, „the churning of the ocean of milk“… & Siem Reap…), but blog space is limited! 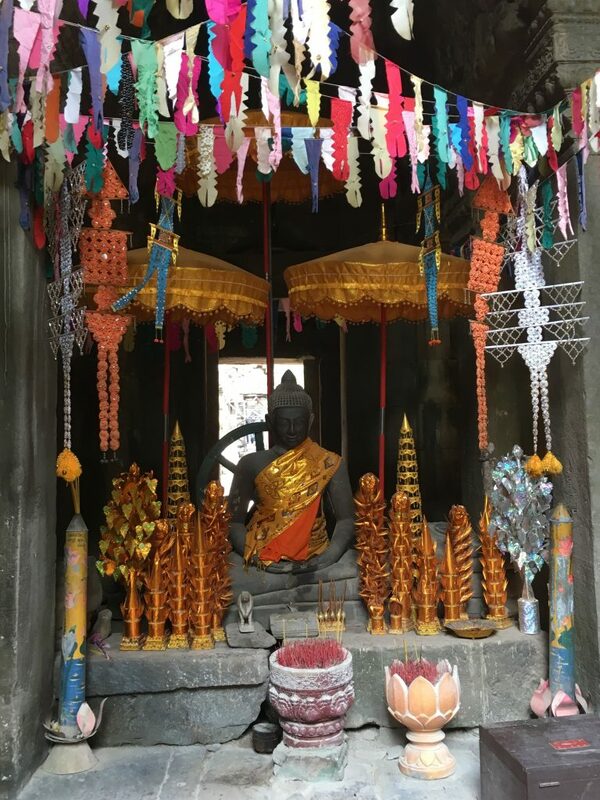 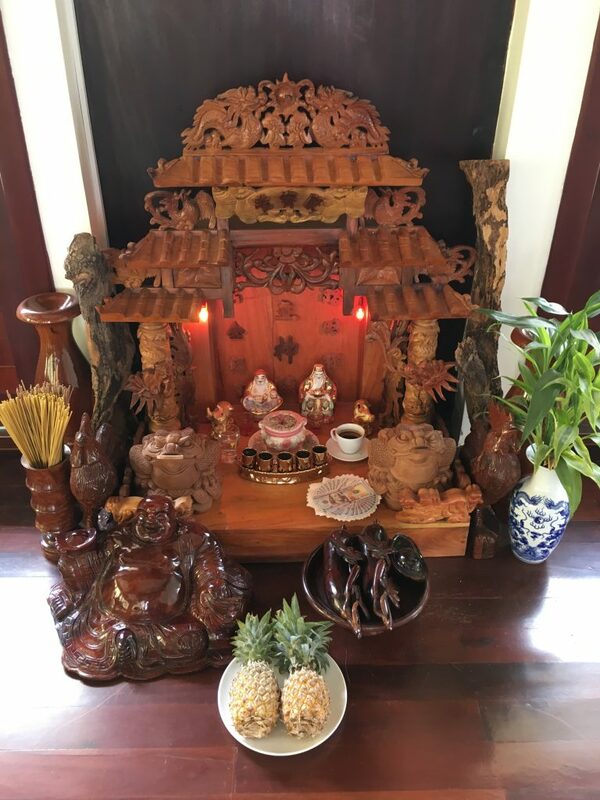 You’ll find such altars everywhere in Siem Reap inside & outside… (it’s the same in Bangkok by the way). 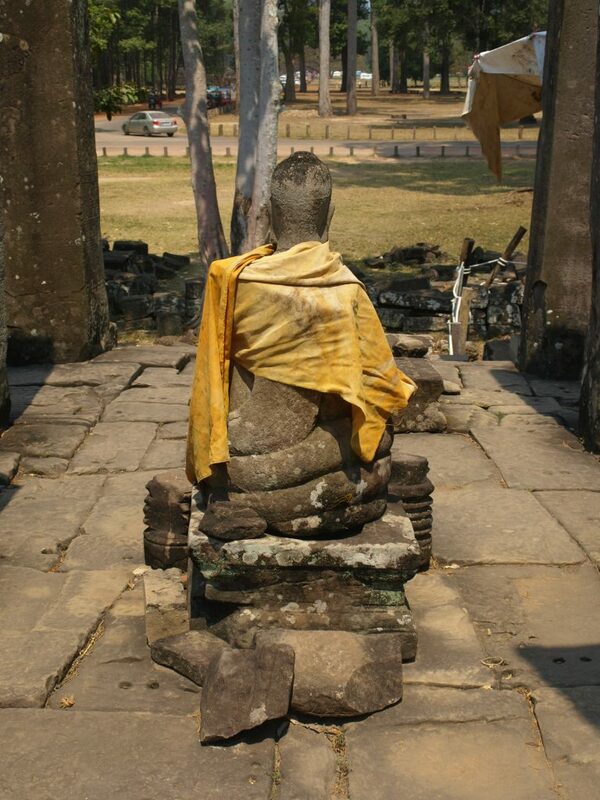 Coming now nearer to the end… I call him the „Good-bye Buddha“! 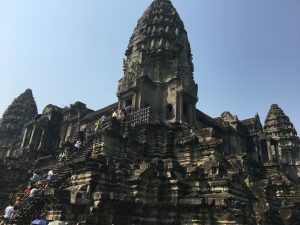 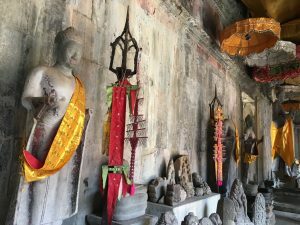 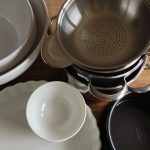 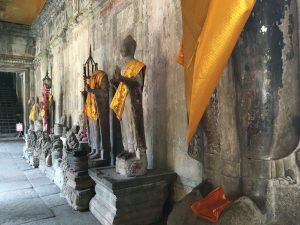 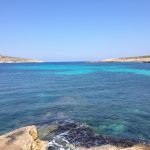 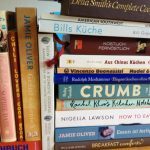 Our stay in Cambodia was restricted to Siem Reap & Angkor – this time. 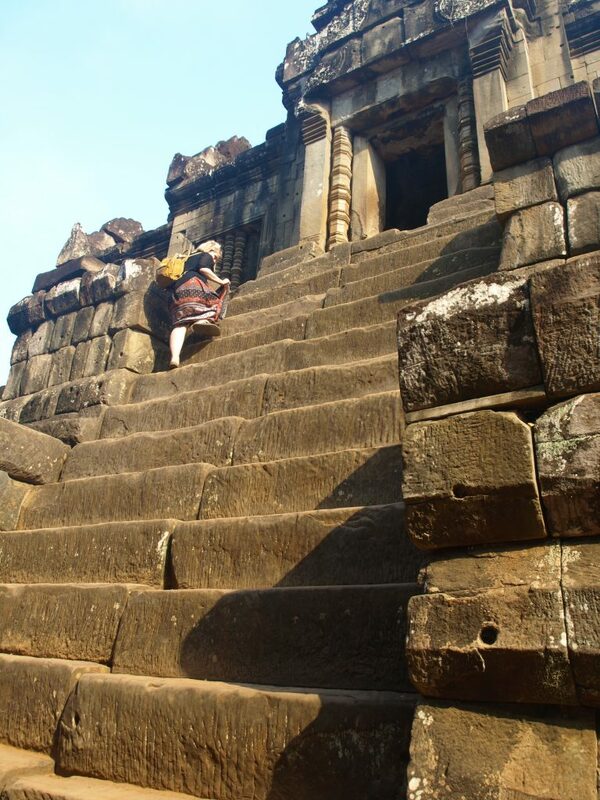 However, we’re sure to return to Cambodia soon… Maybe for a trip from Vietnam crossing Laos & ending up in Cambodia.